Assisted Opening Z Slayer Undead Gasher .38 Cal. 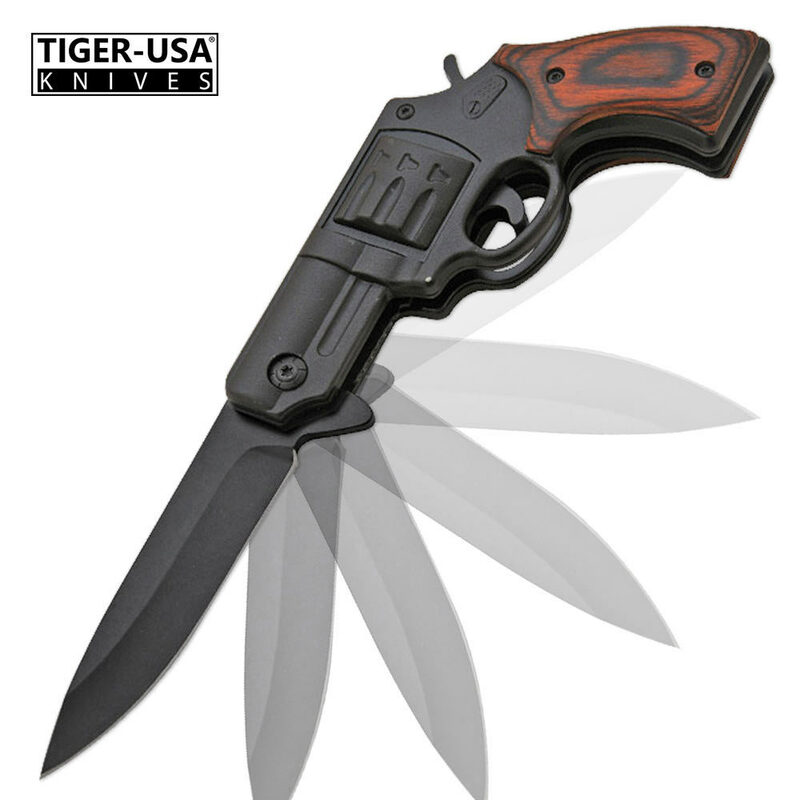 Revolver Folding Pocket Knife Black | BUDK.com - Knives & Swords At The Lowest Prices! Whether you're unloading on a horde of zombies or knocking out a simple chore, this black Z-Slayer .38 caliber revolver folding pocket knife is up for the task. The stainless steel blade opens with the help of an assisted-opening mechanism with a built-in blade spur for fast, one-hand access to the blade. The handle has a brown wooden overlay much like real revolvers. It's an ideal size at 7-1/4" overall.